Welcome back to another weekly fashion post. In this post, I share what I'm wearing right now along with some helpful ideas and inspiration for shopping your own closet and looking at your clothing in a new and stylish light. 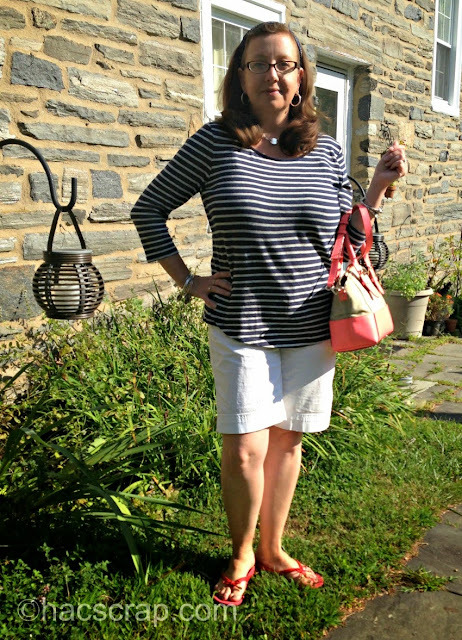 This week, I'm sharing a little end of summer style post. Even though there are probably about 8 more weeks of warm weather, in my mind we are wrapping up summer. Summer vacation is ending, school is starting, and that means an onslaught of fall clothes in the stores an in your mailbox. A cool crisp morning has me wanting to reach for boots, even though it will be 85 degrees by noon. I find this season tough to deal with. White jeans? How much longer? Flip flops into October? 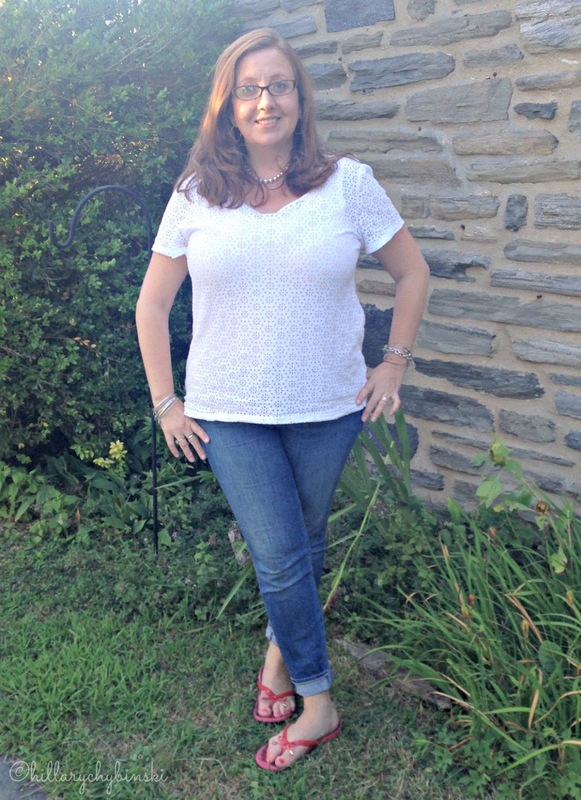 On a recent family trip to Adventure Aquarium in Camden, NJ, I wore a simple eyelet t-shirt, over a basic tank with my favorite Ann Taylor Skinny Jeans. A pair of comfortable walking shoes finished my outfit. This is the time of year that I start to move away from some of my blatant summer pieces a little. My white shorts are ok, but paired with a darker top maybe. Shoes? That's a little more complicated. Ankle Jeans are a great bet, and I'm turning to them more and more on days that stay around 80 degrees or less. Another look I like is pairing a long-sleeve T with shorts, like this one from the end of last summer. The classic styling is still in style, and stripes are big right now. You can read more about this transitional outfit idea here. What are you wearing as summer turns to fall? This post is linked up at The Pleated Poppy and at JoLynne Shane. Check it out for even more outfit ideas and inspiration. Can summer not be over? I'm not ready to put up my flip flops or deal with cold weather. Summer is over :( Time to go on a resort vacation.